Launch campaign for FINRA's BrokerCheck tool. BrokerCheck is a free online tool to help investors when looking into brokers. We research nearly everything else we do– restaurant reviews, hotel reviews, so why not check the person responsible for investing thousands and thousands of your precious dollars? These were super fun to make. 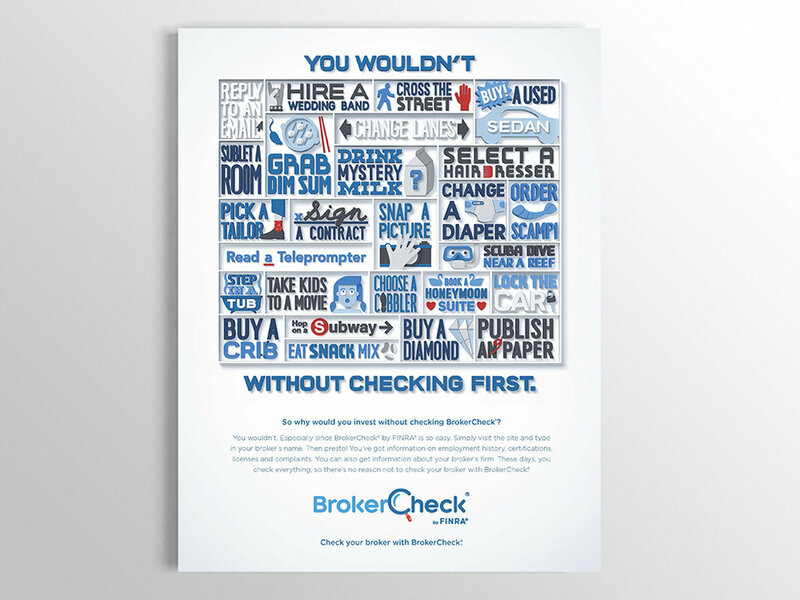 Check your Broker with BrokerCheck.